"Since the development of Greek thought, however, the tendency of Western civilization has been towards rationalism and hence away from religious life. ... With very few exceptions ... no such marked turning away from religion is to be found in the history of the world outside the West. Almost all civilizations are pervaded or submerged by religion, by the supernatural, and by magic: they have always been steeped in it, and they draw from it the most powerful motives in their particular psychology." Each of the crime writers this reminded me of is of European descent. 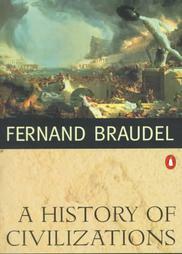 Each has lived among and writes with respect about a non-European culture, sometimes about spiritual matters not normally accessible to persons of the mental framework Braudel discussed. The writers are Colin Cotterill and his series about Dr. Siri Paiboun of Vientiane, Laos; Christopher G. Moore and his "cultural detective," Vincent Calvino of Bangkok; and Adrian Hyland and his half-Aboriginal, half-white, half-amateur sleuth Emily Tempest. "nicely captures the simultaneous irreverence and respect with which Cotterill portrays the worlds of the supernatural and of those who believe in it. Dr. Siri is both a scientist – the chief and only coroner in post-Communist-revolution Laos – and a shaman, an unwilling conduit to the spirit world. Does he believe in the spirits with which he comes into contact and which sometimes help him solve mysteries? He has no choice." Moore says Vincent Calvino "sifts through the evidence in a way that makes sense of the location and people living in Southeast Asia." Hyland said of his first novel, Diamond Dove (Moonlight Downs in the U.S.), that "I suspect one could do more for Aboriginal people by portraying them as a living, loveable people, rather than as a broken museum display which is going to have us all running for the confessional." And Hyland's second novel, Gunshot Road, opens with a beautiful version of an Aboriginal initiation rite. In each case the author is an outsider, not pretending to be anything else, keeping an open mind and an open eye. Do that well, and you give the readers one of the special joys of reading international crime fiction. What crime writers do it for you? Who does a good job portraying a culture other than his or her own? "(H)e suddenly found himself in a culture to which he actually wanted to belong. "But the important thing, from a writing standpoint, was that he didn't belong, and because he didn't belong, he didn't have to understand everything; he could make mistakes about the people and the lives they live. And he spoke only elementary Thai. Those things were very liberating for me. I'd been nervous about writing about Thailand because I knew there was so much I didn't understand. Suddenly, I didn't have to be the guy who could write the Wikipedia entry on Thailand. My character was just another clown trying to find his way in. He was going to get things wrong from time to time." Well, Tony Hillerman was said to have with the Navajos.It worked for me, but it gets tricky to tell, doesn't it, unless you're actually part of the culture being translated to another audience. I have read that Hillerman won respect and recognition from the Navajo for his portrayal of their culture, so he was probably doing something right. But both his protagonists were tribe members, and I presume the point of view is that or a tribe member, too. I wonder how Hillerman pulled that off. I think one of the progaonists (I forget if it was Leaphorn or Chee) had strayed from the tribal ways, and the other, younger one was tying to return to them. Perhaps that's how Hillerman achieved something like a comfortable outsider's perspective that let him study tribal ways without seeming like a fake insider on the one hand or an anthropologist on the other. One author who does that extremely well is Eliot Pattison who has set his series in occupied Tibet. He is a journalist who has spent considerable time over there. His works are banned in China, but I guess some get smuggled in somehow. It features a Chinese officer, Shan Tao Yun, who investigated corruption among the top members of the Party hierarchy and ended up in a Chinese Gulag in Tibet, for his temerity. Tibetan culture and Buddhism and Chinese Taoism pervade the work. In our first book, A Carrion Death, we had a witchdoctor who interacts with a scientist, Bongani Sibisi. One of our intentions was to highlight the pervasive role witchdoctors play in southern Africa, even amongst Western educated Blacks. We received a number of comments from readers in the USA that the witchdoctor was irrelevant and a distraction. We were surprised by this reaction since we felt not to acknowledge the role witchdoctors play would be to misrepresent life in Botswana. Fred, I've read two of Pattison's novels: Skull Mantra and Prayer of the Dragon, maybe the angriest crime fiction I've read. I'm not sure I knew Pattison's books had been banned in China, but I assumed they had been. I'm not sure to what extent his books offer views of a culture so much as they do distilled, highly concentrated studies of two micro-cultures, those of Tibetan Buddhist monasteries and isolated Chinese prisons. I wonder why those readers complained. Could the witch doctor's status as a minor character have made him appear a sideshow to American readers? Cotterill has his main character wrestle with the supernatural, which gives him a chance to anticipate readers' questions and complaints and get them out there on the page. I don't envy any author who sets himself or herself the task of giving the supernatural a convincing place in a skeptical world. One has to give a lesson. make an argument and tell a story at the same time, which can't be easy. Perhaps I'll have more to say in a future post -- after I visit the witch doctor. There are now five books in the series and, in each one, Shan Tao Yun leaves his monastery hideaway and moves among the various ethnic groups in Tibet. Each time this happens Pattison provides considerable detail as Shan Tao Yun interacts with them. The focus in his later novels shifts away somewhat from Tibetan Buddhism to the various cultural and ethnic groups. Fred, I've written about insiders and outsiders from time to time. Shan Tao Yun is an insider (Han Chinese) turned into an outsider (prisoner) compelled to become an uneasy insider among Han Chinese who are rendered outsiders by their unwelcome presence in Tibet. Pattison gives readers much to think about. What other groups does Shan come into contact with, and in which books? I'm not ignoring you. I'll get the info to you shortly. "Most of the time they sit and chat and pass round a calabash containing mixture of maize beer and additives that are neither specified not discussed." "To be a chief, you have to be born into the right family, but a witch doctor makes his own destiny." Humor and good, old-fashioned power politics are ways to cross cultural barriers, I think. I don't mean to imply that you and Michael had this in mind when you wrote those passages, only that they work that way for me. Thanks, Fred. I didn't think you were ignoring. I posted my comment just a few minutes ago. I'm not that impatient. Adrian Hyland writing about Indigenous cultures in Australia is fine. Alexander McCall Smith writing his beautiful stories of Africa. Colin Cotterill's writings of SE Asia were interesting. In the U.S., Nevada Barr writes about different regions of this country and its people well. Then there are Rebecca Cantrell and Alan Furst writing about WWII in Europe and more. Will have to ponder this more. Kathy, if you're going to invoke World War II, I have to mention John Lawton's Troy novels, which stretch from the 1930s through the 1960s. The ones that I've read that are set in the run-up to the war and during the war itself (Second Violin and Blackout) offer superb, convincing pictures of life in wartime England. Sorry for the long delay. I've skimmed through four of six Tibetan mysteries by Pattison. The first book does depict life in a Chinese gulag set in Tibet and the way of life in an isolated Buddhist monastery is prominent in several of the books. However, Shan Tao Yun gets out in every novel (makes it to the US in one of them), and we are given fairly distinct pictures of the way of life of various groups in Tibet. One of the most frequently depicted groups is the dropka, the nomadic Tibetan herdsmen. Pattison has them frequently in his books because being nomadic, they would be perfect as a means of getting Shan around the countryside. In one book, Shan spends time with the rongpa, a Tibetan farming people. The ragyapa also appear--a outcast group who make their living by disposing of corpses. And throughout all of the works, we encounter Tibetan Buddhism as it is practiced among the Tibetan people, as well as by monks and nuns in the monasteries. Thanks. I've read the first and fifth novels in the series. The fifth, especially, is full of evocative passages about Tibetan Buddhism. The ragyapa figure prominently in Prayer of the Dragon, I think. Implict in Pattison's writing about them, I think, is that though they are shunned by most people, they are still part of the social structure. I've read the first four but haven't read either the fifth or sixth one yet. I agree. The ragyapa were part of the social structure, like the untouchables in India, to some extent. The untouchables would be the obvious parallel. Pattison treats the ragyapa matter of factly and works them nicely into the mystery. So yes, he qualifies for this post. Well, the past is a foreign country, after all. I have long also thought that the challenges of writing historical mysteries must be similar to those of writing mysteries set in countries other than one's own.